Rabobank in California was hit with a $50 million fine for its Bank Secrecy Act and Anti-Money Laundering deficiencies. 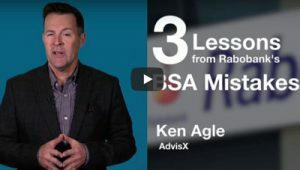 Ken Agle of AdvisX shares where Rabobank went wrong and what financial institutions can learn from its mistakes. With the effective date of May 11, 2018 just around the corner, here’s what you need to know about the 5th Pillar and Beneficial Ownership in five minutes or less. 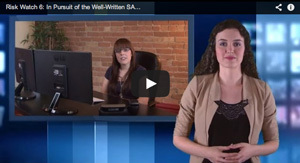 Presented by Makayla Denton of AdvisX. Risk Watch 128: What Happens to Your SARs? 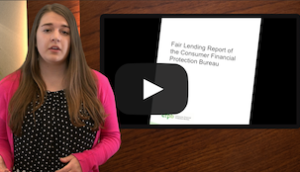 The CFPB’s proposed Payday Lending Rule covers more than just non-bank, short-term lending entities. 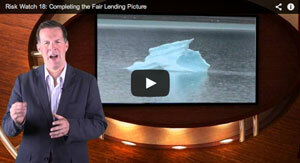 The rule also covers vehicle title, and high-cost installment loans. Zac Stucki, AdvisX Analyst, discusses four things you need to know about the rule. The CFPB’s 2016 Fair Debt Collection Practices report revealed what issues are topping the bureau’s list of concerns. AffirmX Analyst Sydney Caskey shares with us the four key takeaways from this report, as well as what to look out for in the future. Are guarantors considered applicants under ECOA and Reg. B? The Supreme Court was supposed to clear this up, but instead we’re left in the midst of more confusion. 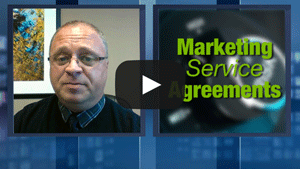 Ken Agle, AdvisX president, explains why. The CFPB has introduced a new interim final rule on Reg. 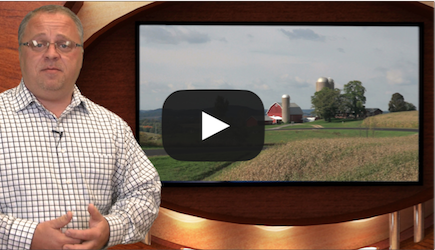 Z impacting dealings with rural and underserved areas. What changes should you be on the lookout for? 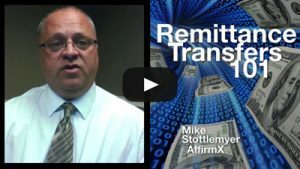 AffirmX Director of Operations Mike Stottlemyer explains what your institution needs to know about this interim rule. In an effort to encourage financial institutions’ development of innovative products, the CFPB has introduced a No Action Letter Policy. 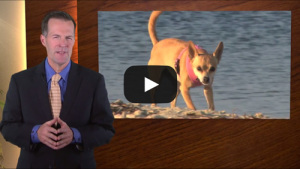 But is this policy’s bark worse than its bite? Jane Pannier, AffirmX VP and in-house counsel, fills us in on just how helpful a No Action Letter may be to your institution. When tackling vendor management for any size institution, a comprehensive and tailored approach can more than help. 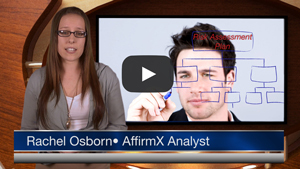 AffirmX analyst Rachel Osborn introduces the AffirmX Vendor Management Solution tool, which offers to do just that. While receiving a consumer complaint is not a new phenomenon, the way financial institutions are expected to handle complaints is changing and is now becoming a focus for examiners and regulatory agencies. 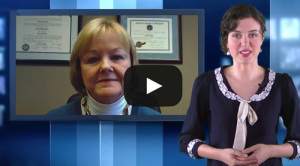 Julie Kappenman of Mountain West Credit Union Association describes the eight components of a sound complaint management process. Looking to make the FFIEC’s Cybersecurity Risk Assessment tool more manageable and effective? 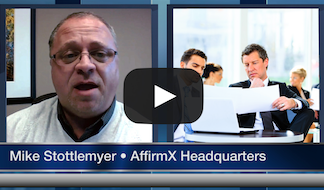 Mike Stottlemyer, director of operations at AffirmX, introduces to us a new tool his firm has created to help institutions better manage data and monitor their progress while conducting their cybersecurity assessments. 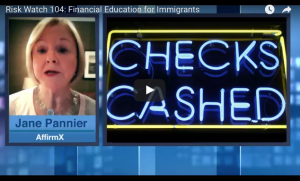 How financial institutions deal with consumers who have Limited English Proficiency, or LEP, is receiving growing attention from regulatory agencies. In our first non-English episode of Risk Watch, Quinton Harrison, AffirmX Analyst, puts this problem into a poignant perspective as he explains the challenges faced when marketing to LEP consumers. 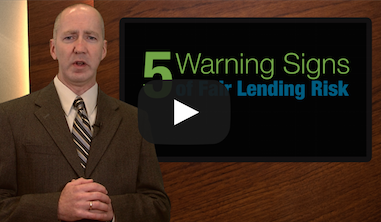 In its fall 2015 semi-annual report, the CFPB points out 5 areas of heightened fair lending risk it encounters. 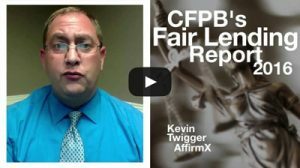 Using recent enforcement actions, AffirmX Regulatory Counsel Chris McCullock illustrates what poor fair lending patterns attract the CFPB’s eye. The Federal Financial institutions Examination Council just released a statement warning financial institutions about the increasing frequency and severity of cyber attacks involving extortion. What can be done to prepare for such attacks? 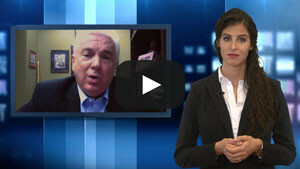 Dennis Agle, CIO of AffirmX, breaks down the report and brings us up to speed. Thought the relative number of SARs associated with crowdfunding is still low, a 171% rate of increase can’t be ignored. 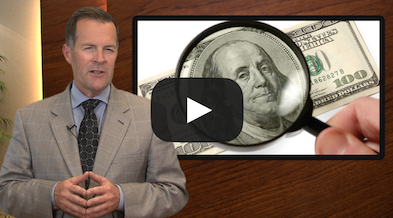 Ken Agle, president of AdvisX, gives us the lowdown of what attracts money launderers and fraudsters to these crowdfunding campaigns, and clues us in on how to spot and report such unsavory practices. 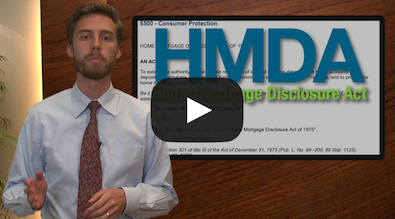 The CFPB has releasedan 800-page overhaul of the Home Mortgage Disclosure Act, and the changes are rather significant. How should you prepare? 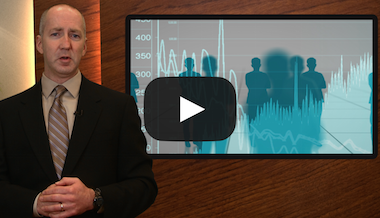 Barrett Jones, head of data analytics for AdvisX, breaks down what changes financial institutions should know about and, more importantly, what they mean. 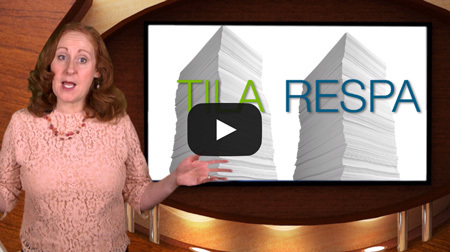 Ever wonder what becomes of your Suspicious Activity Report once it’s submitted? 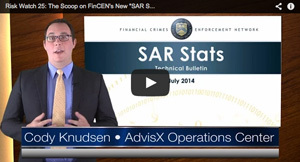 Ken Agle of AdvisX takes a look at the FinCEN’s 2015 SAR Stats, which breaks down how SARs are used by various federal, state, and local agencies. What’s more, it offers some helpful tools your financial institution can use to make sure its Bank Secrecy Act program is proactively meeting emerging threats. This risks associated with Marketing Service Agreements may have just spiked, a spike we can attribute to a recent CFPB compliance bulletin. 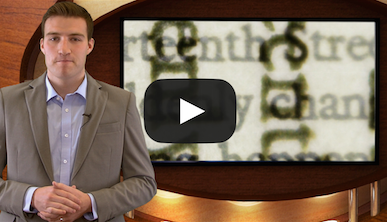 AffirmX’s Mike Stottlemyer helps decipher the warnings found in the bulletin. 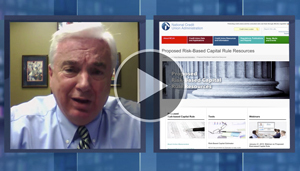 With the NCUA expected to finalize its Risk-Based Capital Rule soon, Former NCUA Chair Dennis Dollar cuts through all the hullabaloo and breaks down what you really need to know about the proposal as well as what you can expect going forward. In plain English! 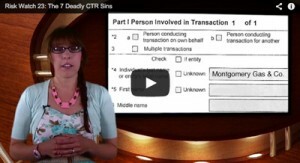 Risk Watch 72: Why Aren’t Credit Unions Filing CTRs or SARs? 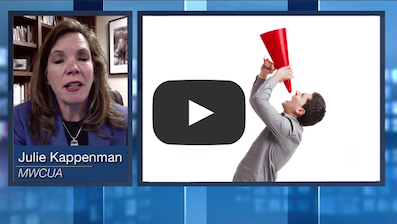 FinCEN’s Director pulled the public eye when she announced data that showed many small credit unions have not filed any Bank Secrecy Act-mandated Suspicious Activity Reports or Currency Transaction Reports in nearly two years. 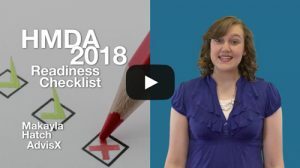 AdvisX regulatory affairs counsel, Chris McCullock, explains what this finding means, and discusses a plausible explanation for such a lack of SAR and CTR reports. 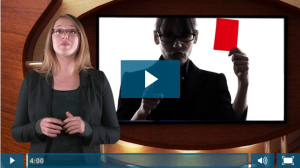 Risk Watch 71: Director and Fiduciary Continuing Education: How Much is Enough? 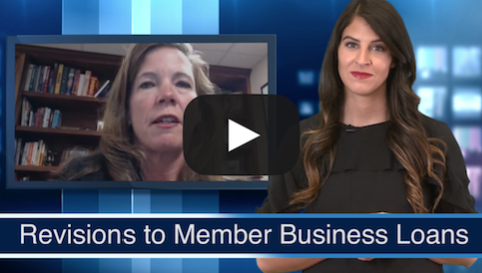 When it comes to understanding your credit union fiscally or in other technical areas, how much industry-specific training does the NCUA expect of your Board of Directors? 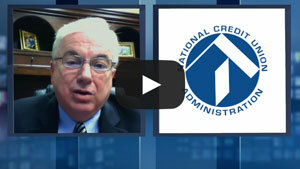 Dennis Dollar of Dollar Associates, and former chair of the NCUA, shares what credit unions should be aware of when it comes to continuing education for their directors. 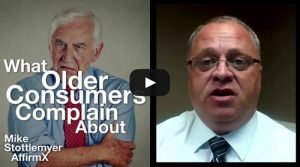 Garnering over 600,000 complaints nationwide since it’s launch in 2011 the CFPB Consumer Complaint Database shines a spotlight into emerging areas of concern. 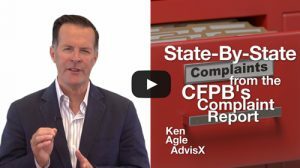 Even if there haven’t been any complaints filed against your specific financial institution, Ken Agle, AdvisX President, can show us how to use this snapshot’s information to your advantage. One of the most underutilized credit union tools, the Low-Income Designation can actually provide some strong exemptions and opportunities. NCUA former chair and principle partner of Dollar Associates, Dennis Dollar, explains how to take advantage of this rule. The NCUA’s Fixed-Asset rule underwent a change earlier this year, and the change may be in your financial institution’s favor. 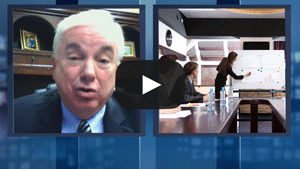 Who better to tell us about the expected impact of the rule than Dennis Dollar, former chair of the NCUA and now principal partner of Dollar Associates? 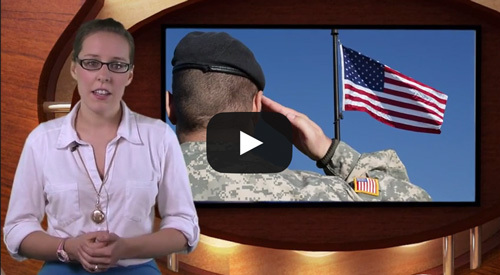 Earlier this year, the CFPB’s Office of Servicemember’s Affairs released a report outlining data and trends from complaints submitted by servicemembers, veterans, and their families. In this Risk Watch video AffirmX Analyst Rachel Osborn outlines the major findings and tips on how financial institutions can better work with servicemember. 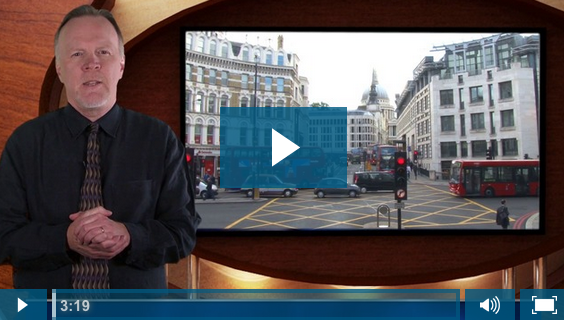 Enterprise Risk Management is a tricky one for financial institutions. But it all comes down to where your institution is today, where it wants to go in the future, and what elements stand in its way. 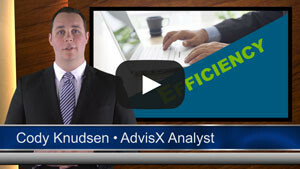 Chris McCullock, Regulatory Counsel for AdvisX, breaks down these fundamental components of Enterprise Risk Management. When it comes to regulatory compliance, what are the best ways to gauge the health of your institution’s regulatory program? Asking the right questions is always a good place to start. 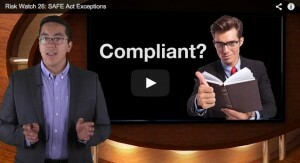 What are the main kinds of questions compliance experts get asked? And what are the questions experts suggest you should be asking? Risk Watch 64: What Went Wrong With Regions Bank? In 2012, an Alabama-based bank voluntarily reimbursed nearly $35 million in wrongful overdraft fees to some 200,000 customers. So what did they do that cost them a $7.5 million fine in 2015, and what can your institution do to avoid the same mistakes? 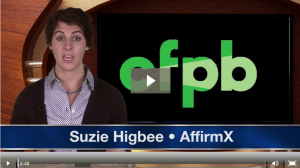 AffirmX senior analyst Coppelia Padgett explains how and when Regions Bank went wrong. The CFPB has restated guidance on providing mortgage applicants with a list of homeownership counseling organizations. The Bureau has also added further guidance for mortgage lenders in this interpretive rule. What was added? AffirmX Analyst Henry Miles breaks down what the CFPB now expects from mortgage lenders. 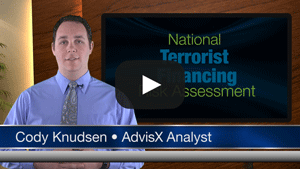 The U.S. Treasury Department has just released its National Money Laundering Risk Assessment, which is designed to provide information on the latest emerging channels employed by criminals. 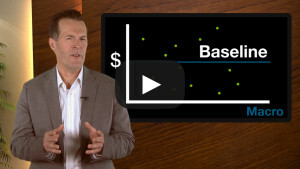 In this episode AdvisX analyst Barrett Jones explains some of the money laundering schemes exposed in the Risk Assessment. The importance of a robust BSA/AML monitoring system is clear. However, an all-encompassing monitoring system often feels beyond the reach of the smaller financial institution. 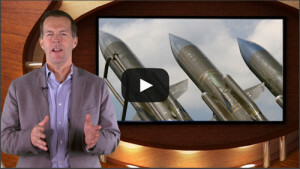 AdvisX analyst Cody Knudsen brings us the second BSA/AML secret weapon in this special two-part Risk Watch episode. The importance of a robust BSA/AML monitoring system is clear. However, an all-encompassing monitoring system often feels beyond the reach of the smaller financial institution. AdvisX analyst Cody Knudsen brings us the first BSA/AML secret weapon in this special two-part Risk Watch episode. Look above for part II! 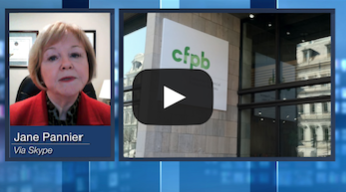 The CFPB is turning up the heat on lenders with recently adopted revisions to its Consumer Complaint Database process. 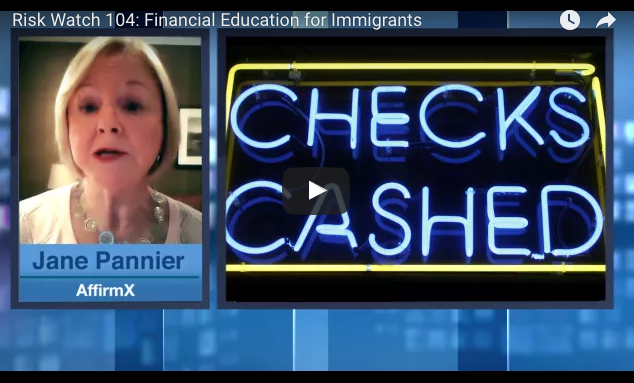 AffirmX VP Jane Pannier brings you what you need to know to make sure your financial institution stays ahead of the curve. 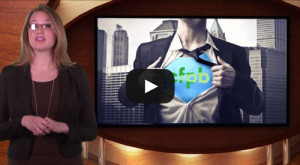 When it comes to advertising, the CFPB keeps a sharp eye on financial institutions. And though the bureau searches for all kinds of false claims, there is one in particular that’s been on its radar lately. 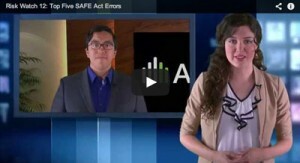 AffirmX Analysts Rachel Osborn highlights this issue, and how to easily side-step it. Billions of dollars are transferred out of the country every year. But there is still quite a bit of bewilderment surrounding the roads of remittance transfers. 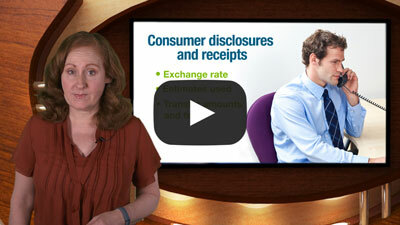 AffirmX Senior Analysts Coppelia Padgett goes over the best way to navigate remittance transfers. Since receiving stinging reports of racial disparity, the CFPB has been given an audit from the the Office of Inspector General on how to improve its diversity and inclusion efforts. 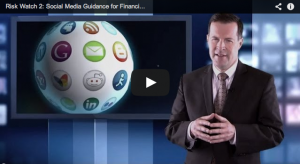 What can financial institutions learn from the report? 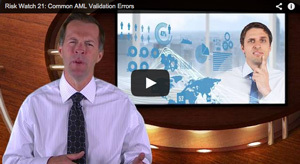 A vital part of the AML process is to conduct a periodic validation of your system. 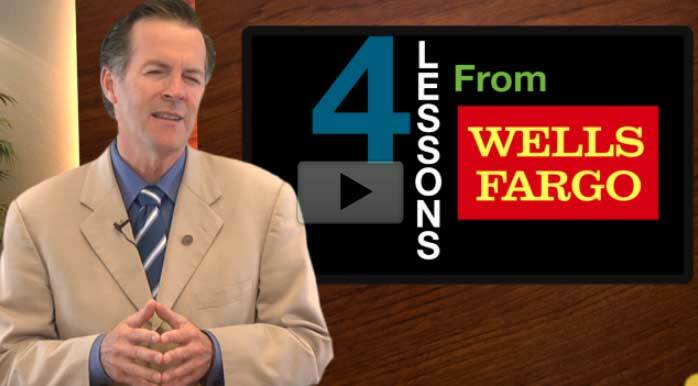 AdvisX President, Ken Agle, discusses four common trouble areas to pay attention to. To learn more about the upcoming AdvisX Webinar: The Four Corners of BSA AML Investigation on June 9th, click here. 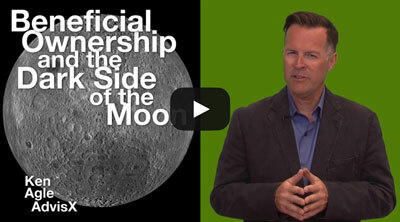 For more information, or to order a copy of the webinar, click here. It’s getting hard to go a week these days without seeing news of another major data security breach. Because of the nature of their business, financial institutions are likely to always be targets of these attacks. 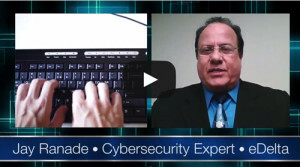 In this video, join internationally renowned computer security expert Jay Ranade as he helps you understand what you can do at a personal level as well as at an institutional level to improve your cybersecurity. 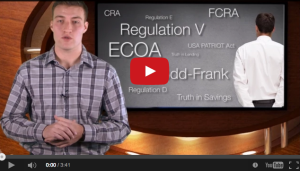 The SCRA has garnered a lot of attention recently, due in large part to the CFPB’s aggressive pursuit of violators. Not only are financial institutions being given the option of knowing who is entitled to SCRA protection, there is a growing expectation that they should be proactive in finding their customers and members who qualify by accessing the SCRA database. 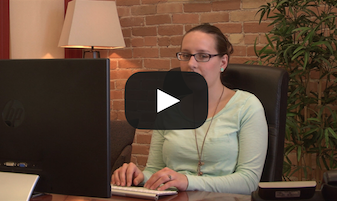 In this video, AffirmX Analyst Rachel Osborn gives an overview of the SCRA and how to use the database. Enterprise risk management can seem daunting, because it takes a very complex ecosystem like financial institutions and requires the employees to protect their organization from myriad threats, all the while working to achieve the institution’s goals. In this video, AffirmX EVP and Director of Risk Management Ken Agle explains—by way of the Cold War—one method institutions can use to improve their enterprise risk management. It’s been nearly half a decade since the FFIEC and FinCEN have released a new update of the BSA/AML Examination Manual. 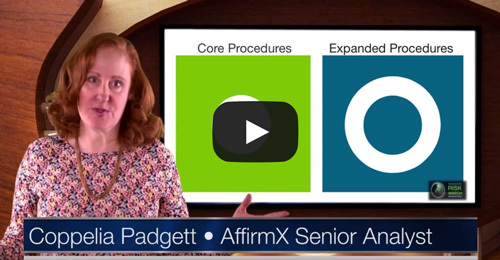 In this video, AffirmX’s senior analyst, Coppelia Padgett, provides an overview of critical changes. 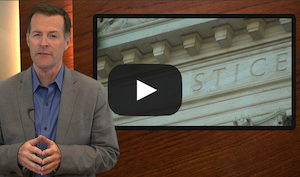 Even though the CFPB only directly regulates financial institutions with assets in excess of 10 billion dollars, every financial institution—regardless of its asset size—is impacted in a big way by the CFPB. In this video, AffirmX Analyst Sydney Caskey explains why you might not want to ignore the newest regulatory agency in town. Examinations can feel like a power struggle between institution and examiner—and examiners often win. 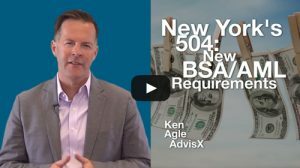 In this video, AdvisX President Ken Agle share with you one way to help tip the scales back in your favor and take control of your examination. 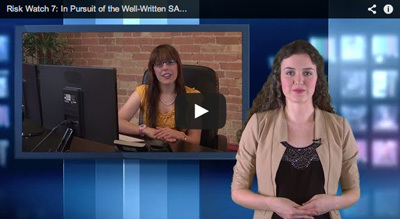 Risk Watch 39: Online Privacy Notices: Do You Qualify? 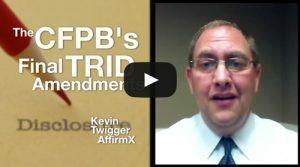 The CFPB has finally allowed financial institutions to step into the 21st century and post their annual privacy notice online, instead of mailing it. But don’t put those stamps away just yet; there are a few caveats. 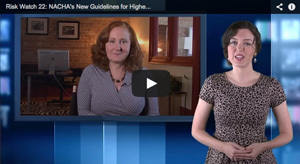 In this video, AffirmX’s SVP and In-House Counsel Jane Pannier discusses those caveats and helps you determine whether they apply to your institution. With any AML system it can be tempting to look the other way and let things slide, especially when closer inspection can mean nothing but headaches and a ton of more work. However, letting things slide or looking the other way has resulted in more than a few heads rolling at financial institutions over the years. What’s more, the expense of penalties and implementing agency-mandated fixes has spelled the end for many other financial institutions, whether through closure or acquisition. 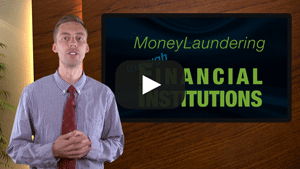 In this video, Analyst Cody Knudsen explains how quality control and quality assurance factor into the AML efforts of a financial institution. 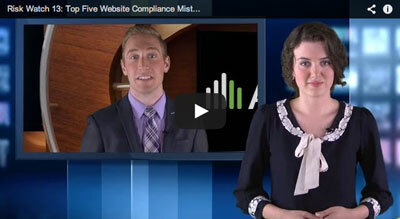 For financial institutions, awash in a sea of regulations, compliance problems are inevitable. Less certain is the matter of deciding which problems rise to a level that requires board of directors involvement and how to present them. In this episode, AdvisX President Ken Agle aims to help institutions understand how to tread this fine line. While the prohibition against unfair, deceptive, or abusive acts or practices (UDAAP) can often be overly broad. 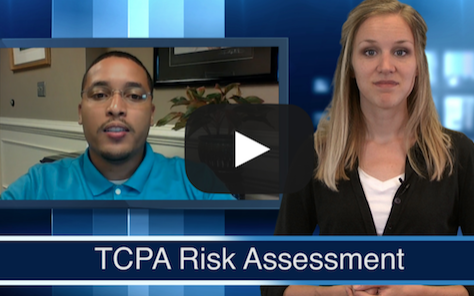 Join AffirmX Analyst Quinton Harrison as he defines what we do know about UDAAP and outlines best practices for institutions to protect themselves from UDAAP violations. Based on recent compliance news, regulatory scrutiny for discrimination is on the rise, resulting in enforcement action after enforcement action. 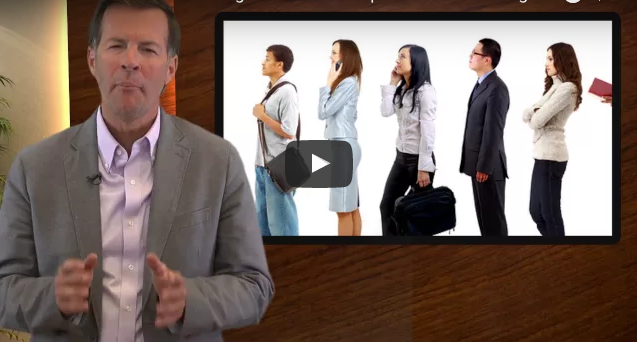 Join AffirmX Analyst Henry Miles as he reviews the mistakes of others, a far less painful way to learn. While for most people the impending holiday season brings feelings of joy, for the financial institution’s operations officer, this season means one thing: the deadline for the ACH audit. 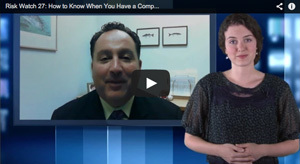 But perhaps AffirmX Senior Analyst Coppelia Padgett can put a little joy back into the season by helping you avoid these three common ACH problems. 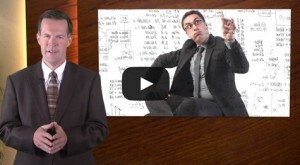 Risk Watch 33: New Servicing Rules: Is the Honeymoon Over? 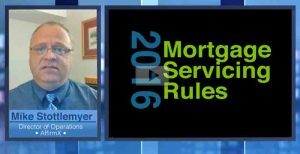 Up until recently, the CFPB has seemingly been satisfied with imperfect compliance with the new mortgage servicing rules, so long as a “good faith effort” to comply with the rules is demonstrated. 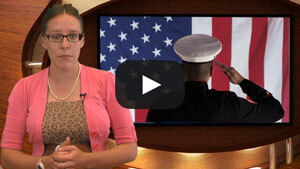 But the recent actions against Flagstar Bank seem to signify that the good faith effort isn’t enough anymore. In this video, AffirmX’s SVP and In-House Counsel Jane Pannier discusses what has happened and what it means for your institution. Recently, the FFIEC released last year’s HMDA data. Because HMDA is often a favorite when it comes to regulatory scrutiny, institutions need to perform some self-analysis. In this episode, Ken Agle, AdvisX President, shares with us a few important questions every institution should ask about its HMDA compliance upon the release of new data. 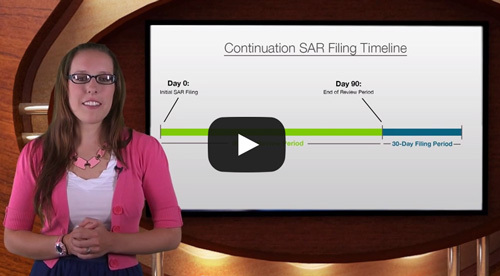 When a financial institution identifies a suspicious activity related to a previously filed SAR and that activity is within a specified timeframe, it needs to file what is called a continuation SAR. The timeframe and what goes in a continuation SAR frequently trip up financial institutions. 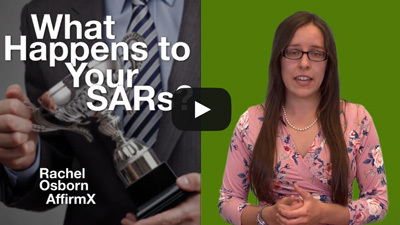 In this episode, AffirmX Analyst and SAR specialist Rachel Osborn helps us sort out these common trouble spots. 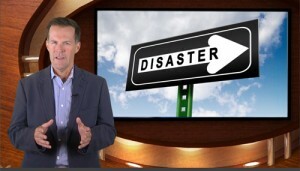 If a disaster struck your institution right now, would you be ready to handle it? In this video, find out how to make your plan ready to be put to the test and learn three elements of a robust disaster recovery/business continuity plan with AffirmX’s EVP and Director of Risk Management, Ken Agle. The federal regulatory agencies recently issued a joint guidance related to the repeal of unfair and deceptive practices rules. What does this mean for your institution? Find out in this episode of Risk Watch featuring AffirmX Analyst Rebecca Drebin. 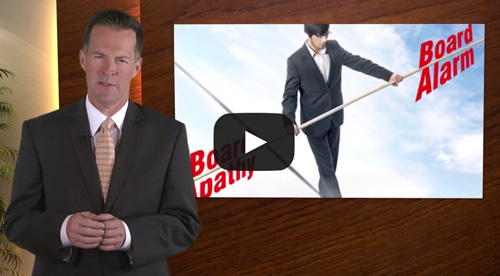 One of the root causes of problems in a financial institution’s Bank Secrecy Act and anti-money laundering programs is a weak culture of compliance. In this video, AffirmX’s Senior Analyst Coppelia Padgett explains what a compliance culture is and what to do if it is lacking at your financial institution. In the world of residential lending, loan officers frequently trip up when it comes to knowing when they’re dealing with a full-fledged application. Join Alberto Gamez, AffirmX’s Director of Sales and a 22-year mortgage specialist, to learn a simple trick to knowing when you have a complete loan application. They say there’s an exception to every rule. In the case of the Secure and Fair Enforcement for Mortgage Licensing Act, or SAFE Act, there are actually TWO major exceptions to keep in mind, especially if yours is a smaller financial institution. In this episode, AffirmX Analyst Abner Rangel shares what those exceptions are and what potential pitfalls they present. 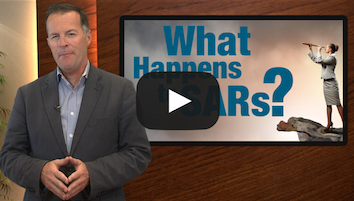 FinCEN’s “By the Numbers” quarterly publication that tracks trends in the nation’s Suspicious Activity Report filings has a new name, “SAR Stats.” But it’s not just the name that’s changed. 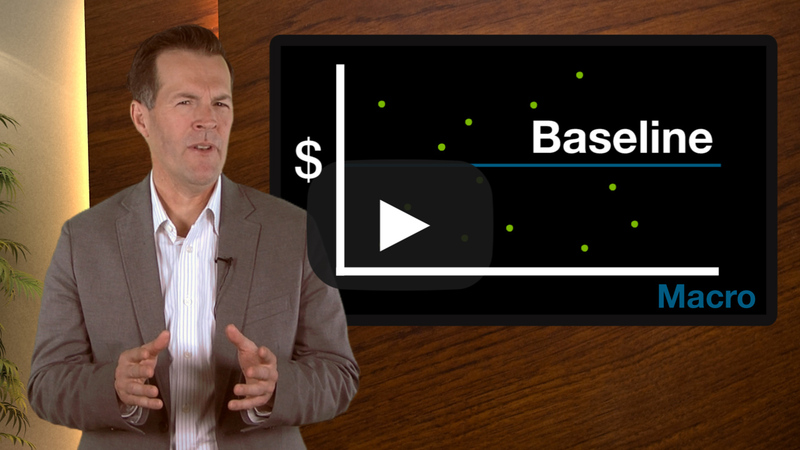 In this episode of Risk Watch, AdvisX Analyst Cody Knudsen walks us through what’s new in “SAR Stats” and how you can put its information to good use for your financial institution. Confused or overwhelmed by the volumes of material written about the controversial risk-based capital proposed rule? In the latest episode of Risk Watch, SVP and In-House Counsel Jane Pannier boils it down to what you really need to know in less than 9 minutes. Nope, it’s not gluttony or greed! In this video, Analyst Rachel Osborn details the seven common errors she sees institutions make in their currency transactions reports. Recently, NACHA (The Electronic Payments Association that was formerly called the National Automated Clearing House Association) released a new document called the Sound Business Practices for Evaluating Customer Risk. AffirmX’s Senior Analyst Coppelia Padgett gives us an overview of this important new guidance. The effectiveness of an institution’s Bank Secrecy Act program hinges on the accuracy of its anti-money laundering monitoring system. 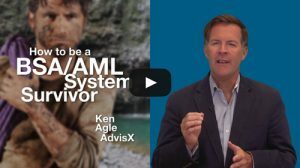 AdvisX’s President Ken Agle shares three common errors he sees when conducting AML validations for financial institutions across the country. Because the ESIGN legislature itself is only three pages long, it is relatively easy to follow. However, don’t let its brevity fool you—it still trips up financial institutions even a decade and a half after its implementation. 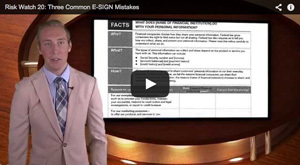 AffirmX Analyst Dustin Stanley delineates three common mistakes with E-SIGN compliance he sees from his reviews for institutions across the country and how to avoid them. 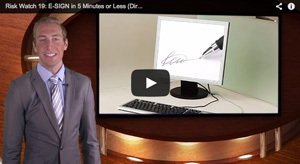 More and more of our daily lives are moving online, and that includes banking, which is where the Electronic Signatures in Global and National Commerce Act (E-SIGN) comes into play. 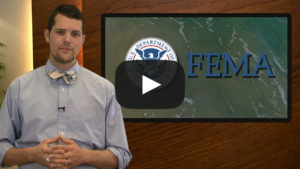 In this episode, AffirmX Analyst Dustin Stanley provides a high-level overview of this increasingly important regulation. 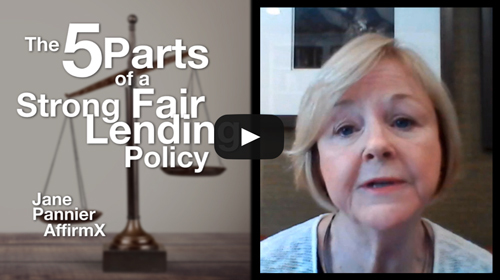 When it comes to fair lending, many institutions fail to compare their performance to the complete contextual picture, neglecting such factors as income, low-/high-minority population, age, gender, etc. 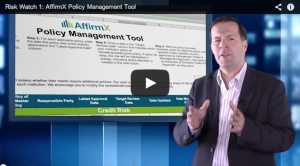 In this video, AffirmX EVP and Director of Risk Management Ken Agle gives us an idea of how to complete the fair lending picture to discover potential problems or explain misleading numbers. 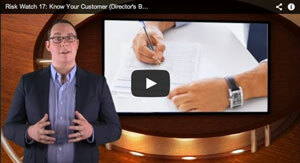 Because Know Your Customer (which includes CIP/MIP, CDD/MDD, and EDD) is such a critical part of compliance, we’ve put together a “Director’s Briefing,” a high-level overview of important areas of risk presented in 5 minutes or less. Join AffirmX Analyst Cody Knudsen to gain a better understanding of the history and important elements of KYC. 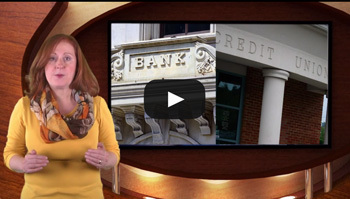 It’s tough to know where to allocate your attention to complying with the Bank Secrecy Act. That’s why we asked AffirmX Senior Vice President and In-House Counsel Jane Pannier to give us the scoop on what she’s heard examiners will most likely be focusing on during your next BSA exam. In this era of excessive information sharing, consumer complaints pose a greater risk than ever before. 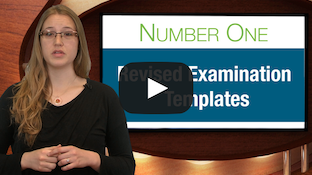 In this video, AffirmX Analyst Rebecca Drebin delineates four key points to developing and maintaining a robust complaint management program. The FFIEC recently announced the addition of a cybersecurity risk assessment to regular IT examinations. 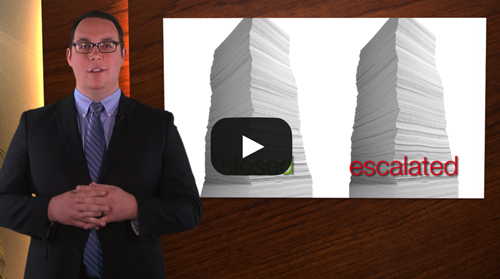 Join Jesse Boyer to learn how your institution can prepare for these exams which are beginning later this year. 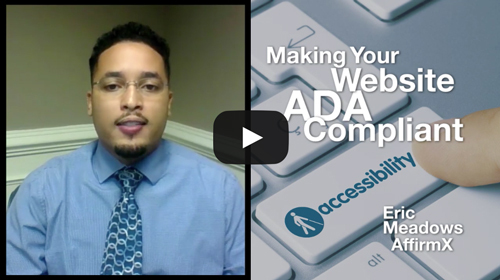 Is your website compliant? 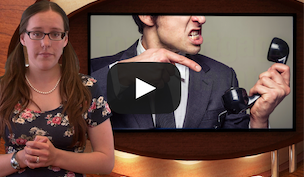 Find out in this episode of Risk Watch. 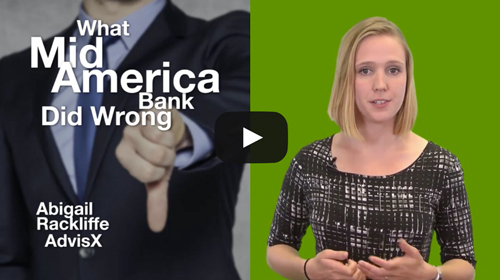 This video describes the top five website compliance mistakes that AffirmX Analyst Dustin Stanley sees in his reviews for financial institutions throughout the country. 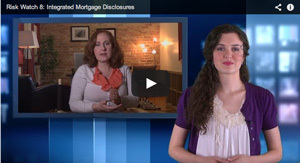 From the best practice for displaying mortgage loan originator (MLO) unique identifiers to third-party MLO due diligence, is your institution compliant with the SAFE Act? Find out in this video, where Analyst Abner Rangel will describe the top five errors with SAFE Act compliance that he’s observed from his reviews. 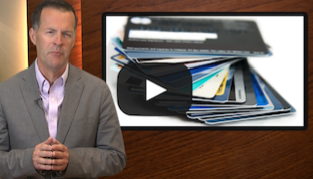 Many institutions suffer from an overproduction of unnecessary AML alerts. 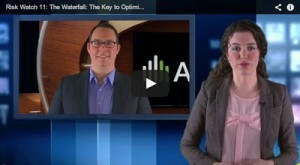 On this episode of Risk Watch, Analyst Cody Knudsen will describe the key to optimizing your AML alert monitoring system: the waterfall model. Big banks aren’t the only financial organizations targeted by DDoS and now the FFIEC has issued guidance to ensure you’re prepared. In this free DDoS webinar, learn about how DDoS attacks impact your credit union, hear stories of attacks and new research that supports DDoS as a smokescreen for breaches including financial and data theft. 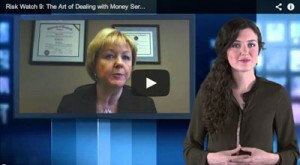 Money services businesses offer a very valuable service to their customers. 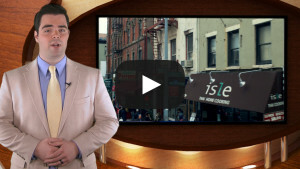 Unfortunately, these businesses are also a favorite for money launderers. 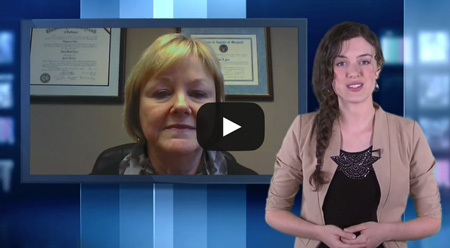 In this episode of Risk Watch, expert Jane Pannier will provide compliance guidelines for financial institutions that offer or maintain accounts for MSBs. 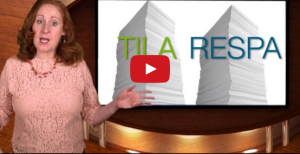 AffirmX’s Senior Analyst Coppelia Padgett takes us on a brief tour of the TILA and RESPA integrated loan disclosures and suggests what institutions should do now to prepare for the August 1, 2015 implementation. Amendments to the Truth in Lending Act may make it appear that small servicers are exempt from the requirements to post their credit card agreements online. 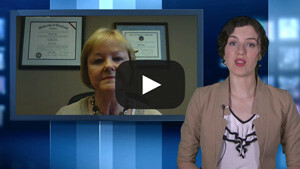 AffirmX’s senior analyst, Coppelia Padgett, explains why a closer look is a good idea. Regulators are moving beyond just checking for accuracy when evaluating anti-money laundering screening rules and considering whether the rules themselves make sense for the institution. 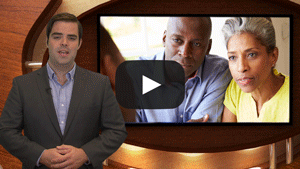 AffirmX’s Ken Agle discusses what this means your institution should be doing now to prepare. While cyber security threats have usually targeted large financial institutions, regulators are anticipating that smaller institutions are next. AffirmX’s SVP and In-House Counsel Jane Pannier explains the risks and what small-to-mid-sized financial institutions should be doing now to prepare accordingly. What financial institutions should know about their social media presence and recent regulatory guidance on the issue. AffirmX’s EVP and Director of Risk Management Ken Agle explains the risks with getting social in this episode of Risk Watch. 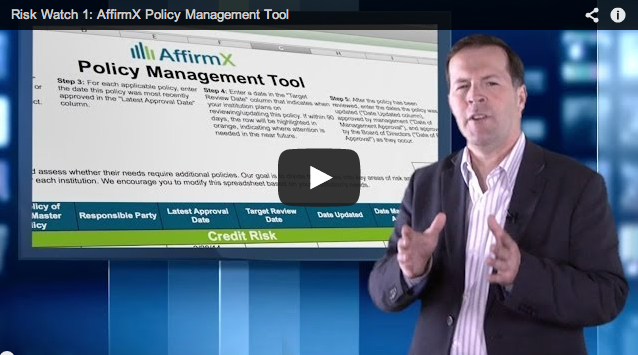 Introducing AffirmX’s Policy Management Tool, an Excel spreadsheet that can help your financial institution track each of its policies through their approval cycle.